While Budapest is best known for being a cultural hot-spot, it’s poignant history and neo-classical influences make it quite a favourite of those seeking a glimpse into the city’s yesteryears. 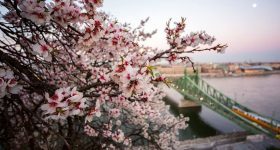 Bisected by the glorious River Danube, the city today caters to a crowd that is eager to explore the art as well as the eclectic wines that Budapest is home to. 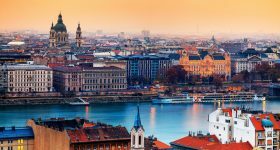 Every year, the rapidly gaining popularity of the city attracts millions of tourists that flock in to uncover the treasure trove that is Budapest. 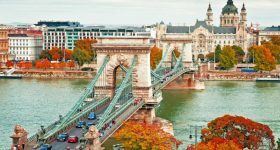 Apart from being one of the greenest cities in Europe, Budapest boasts of a splendid Hungarian fare as a part of its cuisine. If you’re wondering what’s the best way to cover all the Things you ought to do in Budapest, we have several well-crafted tours listed for you down below. Browse through some of them to find the one best suited for your excursion in the stellar city. Although it is said that a city is best explored on foot, time and budget restrictions often hold us hostage to expensive and exhausting group tours. Selecting the correct tour for your trip can help mould your experience into a memorable one. When talking about some of the best ways to tour Budapest, a Night Tour can help you look at the city in a stunning new perspective. As the sun goes down over the Danube river, the tour gives you an opportunity to watch the city come alive with sparkling lights at night-fall. For those interested in taking things slow, a Bike Tour allows you to ride through the iconic places at your own pace. With a skilled tour guide that accompanies you throughout your journey, Guided Tours are perfect for the art enthusiast in you who seeks a deeper connection with the roots of the city. 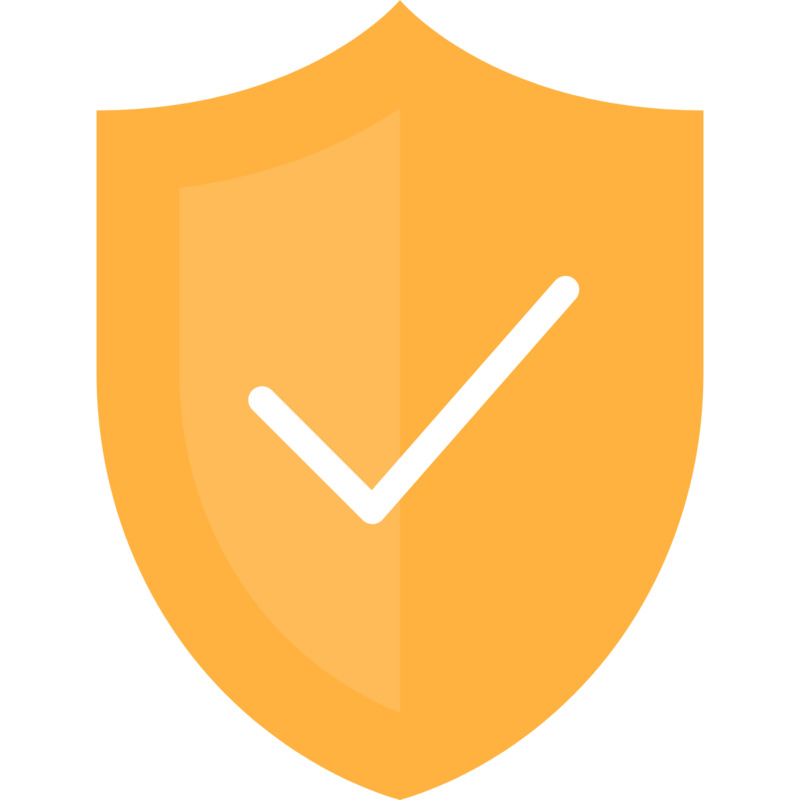 This not only helps you make the most of your trip, it also makes sure you’re ferried back safely with a group of sociable tourists. Walking Tours and Segway Tours of Budapest give you a chance to go through off-beaten roads of the city. Traverse through the cobbled-stone pathways that lead you to an up-close view of Budapest. However, if you’re simply in for the food, an all-inclusive Food Tour takes you on a mouth-watering journey around Budapest. Discover the city like never before and sample 8 different authentic Hungarian specialties during your excursion around the city. Value for money: Perhaps one of the most important aspects of a tour — affordability. Customers rated the affordability of the tour along with its comprehensiveness and the quality of the service provided during the tour. Activities included: Yet another aspect that was ranked by our customers during the tour was the number of activities that were included on the tour. Our city tours in Budapest offered a plethora of combined activities to keep the tour as light as possible. While some allowed tourists to spend more time at the riverfront, some made sure your city experience was highlighted like never before. Getting around: Or in this case, transportation with respect to the tour. Whether it was a walking tour, Segway tour, an elaborate guided tour or a peaceful tour on a rental bike, consumer based their ratings on the feasibility of each mode of transport and whether they thought the means of transportation was best suited for the particular tour. Freedom: To explore. This part of their ratings solely focused on how much time the customers had at hand to explore the attraction by themselves at the tour. Although some tours run neck-to-neck with time, there were several that allowed the customers to explore freely and take in the glory of the city at their own pace. Tour group size: While some people prefer being in large groups, there are many who opt for a smaller, more exclusive experience. Rating this aspect helped us understand which group size is better preferred by our customers and whether or not the group they travelled with was perfect. Glide through the enchanting Castle District while feasting your eyes upon some truly influential pieces of architecture on your way. Typically organised for smaller and intimate groups, this fun experience goes hand-in-hand with history and makes sure you have a personal experience in a comfortable environment. All those giving the Segway a shot for the first time needn’t worry at all, as our skilled professionals make sure you get the hang of it at the start of the tour itself. Value for money: Apart from having a guide to brief your about the history of Budapest along at all time, this personal tour allows you to freely interact with your guide and offers good value for money. 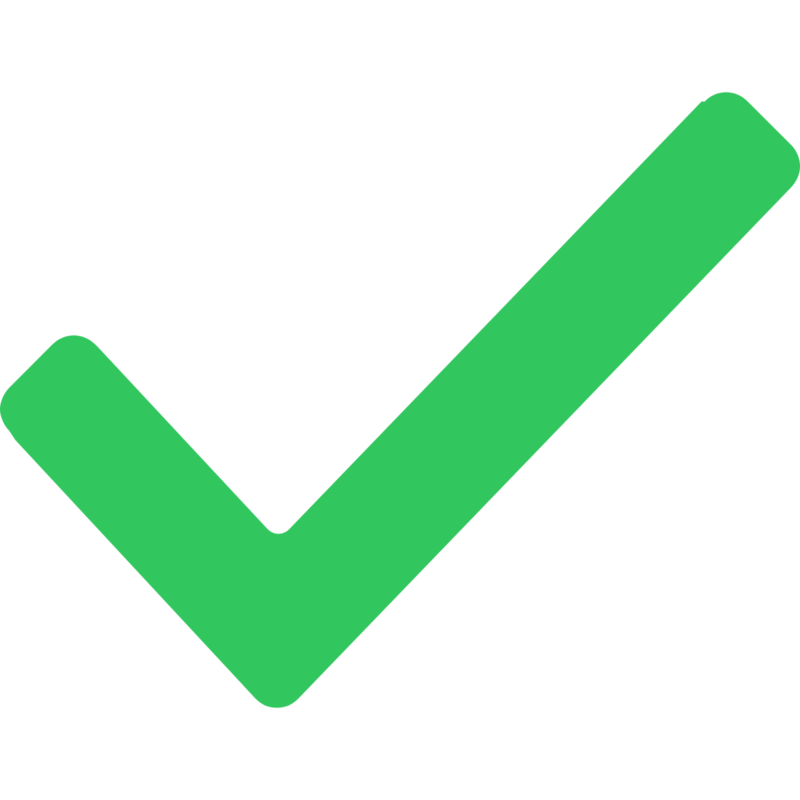 Activities: While the tour is barely an hour long, the time taken can add up after the Segway training session. The tour involves a quick tour around Matthias Church, Jewish Prayer House as well as Palace of Buda during its course. Getting around: Glide about Budapest on a hip, futuristic Segway! Freedom: With a short run time of 1 hour, there are no chances to explore the attractions at your own pace. Group size:With a group size limited to 6 to 8 people, the tour is incredibly intimate and offers a personal experience. Bring out the romantic in you with a walk down the historic cobbled-stone streets of Budapest like never before. Start at the magnificent Matthias Church and explore all the way from the famous Castle District, Fishermen’s Bastion, Royal Palace as well as the 19th century Funicular. Go about discovering the hidden alleyways and lesser known sights of the city at your own pace. 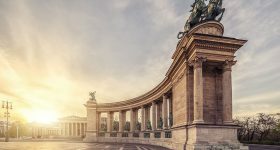 Value for money: The tour takes you through some of the most important highlights of Budapest’s history along with a guide, at a budgeted cost. This offers good value for money. Activities: Almost three hour long, the tour covers iconic attractions such as the Royal Palace, Matthias Church and the Castle District, giving you an opportunity to make the most of in a short time. Getting around: This is a walking tour, which means you can walk about without any restriction and at your own pace. Freedom: With the schedule being tightly packed, this tour does not leave much room for you to look around during the tour. Group size: Group size may vary from season to season, and generally ranges from 10 to 20 people depending on the demand of the tour. Experience Budapest like a true foodie and eat your way around the city. The Budapest Food Tour takes you through the heart of the city and the Jewish Quarter as you enjoy the authentic Hungarian cuisine along the way. Learn a little about the Hungarian culture, tradition and history during your food trail and you can also take back regional specialties for your hometown as well. Sample a variety of cheese specialties, Hungarian salamis, sausages and flatbreads along with two types of desserts and craft beers. Value for money: The tour allows you to sample 8 different types of Hungarian cuisines, but may seem a little steep for those not interested in food. Activities: Visit the highlights of the city and samples its eclectic fare in 3 to 4 hours, which gives you enough time to make the most of your tour. Getting around: The Budapest Food tour takes you through the city on foot, which means you can explore the path and without any restrictions. Get up-close with Budapest’s spectacular architecture and poignant history with a comprehensive guided walking tour of the city. Being your tour by briefing up on the rich history of Pest and take a walk by some of the major most attractions of the city. Take a leisurely stroll on the banks of the river Danube. 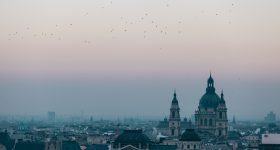 Spot St. Stephen’s Basilica as well as the Hungarian Parliament on your walk, amongst several other interesting monuments during the course of your tour. Activities: Almost three hour long, the tour covers iconic attractions such as St. Stephen's Basilica, House of Hungarian Art Nouveau, Hungarian Parliament, Liberty Square, as well as a number of other interesting sights. Experience the ‘Paris of the East’ light up in glorious illumination. Drive by the Parliament, the Royal Palace as well as lit up bridges to experience the true nature of Budapest’s night life. Take a momentary stop at Gellert Hill to enjoy the wonderful panorama and grab some exciting photo opportunities for you to take back home. Relish authentic Hungarian cuisine at a restaurant before you wind and head back to your hotel at the end of the tour. Value for money: The tour includes hotel pick up and drop along with a 3-course meal and wine along with a professional tour guide. This offers good value for money. Activities: Get around the city during the night time to witness truly a stellar show of illumination that lights up Budapest. The tour also includes a 3-course meal and cultural show at an authentic Hungarian restaurant. Getting around:You will be ferried in an AC Coach and will be transported back and forth from your hotel for the tour. Group size: The tour caters to a fairly large group of people that may vary from season to season also depending on the demand for the tour. 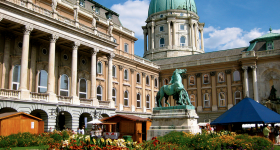 Visit all of Budapest’s important sights on this elaborate City Tour with Hotel Pick Up. 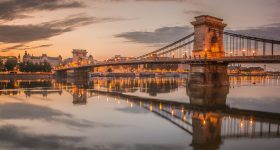 Begin your tour from the Chain Bridge, from where you will be taken to Castle District, Matthias Church, Fisherman's Bastion as well as all the famous bridges of the city. A short stop at the Castle District will allow you to tour the main attractions around the vicinity. The tour will brief you on 1,000 years of rich Hungarian history in 3 hour drive alongside the river Danube. Value for money: The tour includes hotel pick up along with a professional tour guide, at a reasonable price. This offers good value for money. Make the most of this comprehensive city tour with a quick look of the Parliament along with a local guide. Begin your tour in an Air-conditioned luxury coach at the Chain Bridge. Pass several iconic monuments such as Europe's largest thermal spa and the Budapest Zoo. Take home fond memories of your trip at every pitstop you make for a photo-op. End the tour with an exclusive tour of the Parliament and learn about 1,000 years of Hungarian history. Activities: You are ferried across both the sides of the River Danube for a better look at some of the most iconic attractions of Budapest. You will also be allowed to step out at major sites and take a look at the Parliament of Budapest on your tour. Take an effortless ride through the city and have a perfect overview of the centre of Pest. Glide through the heart of the city while passing by important sights such as Vörösmarty Square, the Danube Promenade and the House of Parliament. You will also have a chance to witness the Grand Synagogue, National Museum and the city’s largest cathedral — St. Stephen’s Basilica. Also, those giving the Segway a shot for the first time needn’t worry as our skilled professionals make sure you get the hang of it. Getting around:Glide about Budapest on a hip, futuristic Segway! Group size: With a group size limited to 6 to 8 people, the tour is incredibly intimate and offers a personal experience. Begin an all-inclusive guided tour that will acquaint you to the cultural melting pot that Budapest is best known as. The elaborate tour will begin from the Chain Bridge and take you through the architectural wonders of the Castle District. A short break after each iconic stops, you will have an opportunity to explore the main attractions of the area. Take the liberty to capture the beauty of panoramic views from the Fishermen’s Bastion as well as the Gellert Hill (Citadel). Activities:You will be taken through the heart of the city for a better look at some of the most iconic attractions of Budapest. You will also be permitted to step out at major sites for photo-ops purposes. Getting around: You will be ferried in an AC Coach and will be transported back and forth from your hotel for the tour. Freedom:With the schedule being tightly packed, this tour does not leave much room for you to look around during the tour. Hop onto a bike and take a quick stroll down the most significant streets of Budapest. A bike tour gives you the opportunity to take it slow, and make the most of the important attractions of the city. Apart from being a budget option, renting a bike is a healthy, eco-friendly way to tour the city. For those who enjoy tranquility, the tour also offers solace and a personal touch to your stay, something that you will find yourself cherishing for years ahead. Value for money: A bike tour costs roughly the same as a walking tour for a longer stretch of time. This offers good value for money. 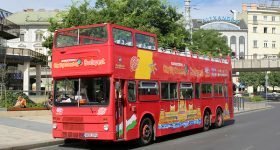 Activities:Take a ride around some important landmarks of Budapest’s history. Tour them at your own pace and without any time constraints or restrictions. Getting around: You will have a bicycle to get through around the city — a faster and a much cheaper way to make the most of Budapest! Freedom: The tour is quite flexible can be planned according to your whims, which is why you will find yourself free to explore the city and look around as per your will. 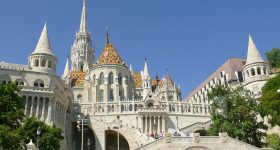 Group size: The intimate and exclusive nature of this tour makes it the most sought after city tour in Budapest. You may opt for a Budapest Bike Rental tour by yourself or also in a small group of 5 to 10 people.